A unique set of solid wood cheese boards from Portugal! 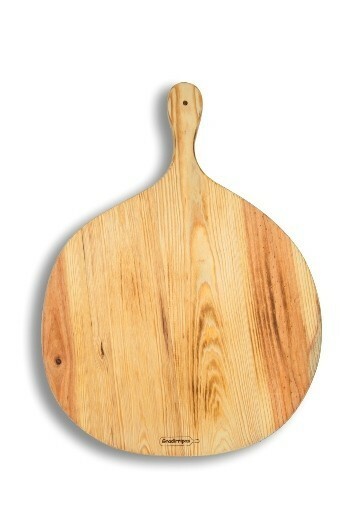 Gradirripas specializes in natural wood cheese boards, favored by many European chefs incl. none else but Jamie Oliver. The wood used in the production of goods is mainly originated from pine forests in Portugal’s center region and is obtained from suppliers that assure the forest sustainability. New trees are planted in substitution for those cut down for this industry. Gradirripas only obtains its wood from legalized suppliers, subjected to periodical inspections regarding its origin and wood nematode. 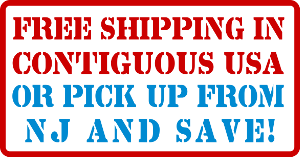 The wood is dried in a kiln, where it stays long enough to assure a quality product, eliminating excessive moisture and the nematode virus. The wood used in Gradirripas is certified through a phytosanitary seal, which is part of every raw material obtained. 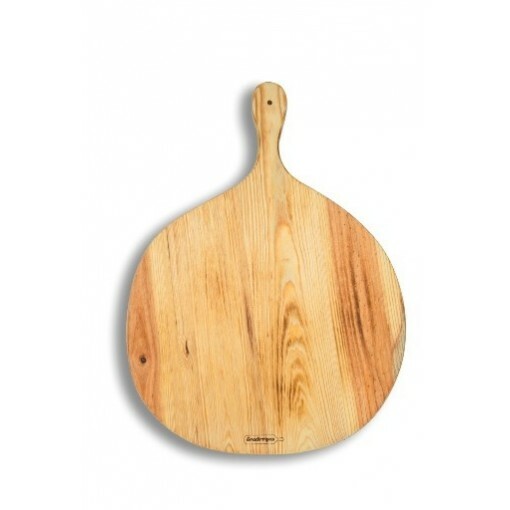 Natural wood cutting boards have been proven to be the most sanitary safe of all: wood is a natural killer of bacteria (in fact certain woods are used to purify water) and wooden cutting boards have been found to be the cleanest of all. 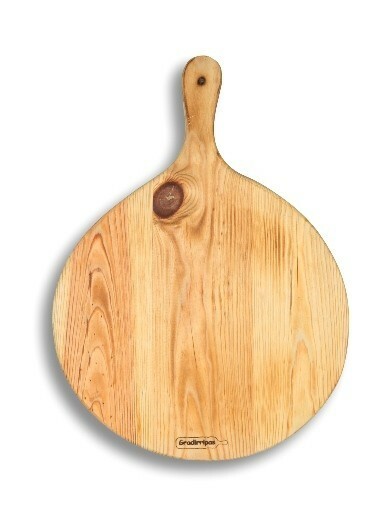 This set includes 3 circular boards with handles. Each board is a solid slab of wood! All boards are 2 cm thick.